Rinji is a shinobi, under Orochimaru, who appears in the second Naruto Shippuden filler arc. Rinji has sharp intellect and is a planning type. With this he is able to support Guren's mission. He's sincerely loyal to Guren, but he also seems to have a close relationship with Kabuto. Rinji became Guren's subordinate after the selection battle she and Kabuto held in Orochimaru's hideout. During his time in the hideout, he became comrades with his fellow subordinates Nurari, Kigiri and Kiho, often cooperating with them to win battles. 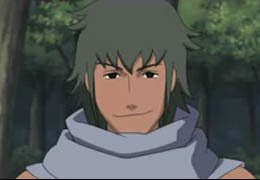 Later, he and his team are ordered by Guren to take down Team 8. 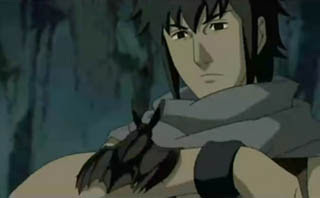 Between his comrade Rinji has good leadership personality so during the battle with Team 8 he took on the role of leader. Rinji manage his comrade to fight in Kigiri's smokescreen by used his sonar powers. And before take finished step to his opponent, Rinji always analyzed his opponent's skills. He has the ability to use ultrasonic waves using the Bat Controlling: Ultrasonic Waves so that he can communicate with bats as he can control them, allowing him to survey the surroundings and give battle instructions to his subordinates. He also appears to have a sonar-like power of his own that allows him to detect sound from a large radius. It is also hinted that he may have a curse mark.